Little Simz returns to Rising Festival after a thrilling headline set in 2014. This time she will take over the building with an incredible bill of emerging talent at her live art and music event Welcome To Wonderland: The Experience. Little Simz is joined on the main stage by an international line-up of live performances from some of her favourite artists, including US hip-hop sensation Mick Jenkins, exciting Californian R&B Singer/Songwriter/Producer Tiffany Gouché and Jazz/hip hop collective Nérija. Simz will also bring a special performance of her sophomore album Stillness In Wonderland, featuring surprise appearances from her musical friends and collaborators. Away from the Main Space, the pop-up Satellite Stage will showcase emerging visual and musical talent with soulful singer-songwriter Sipprell and Little Simz’ own collective Space Age which comprises of Tilla, Chuck 20, Josh Arcé and Loner Muaka. Illustrator McKay Felt who has worked with the likes of Flying Lotus and Knxwledge will be creating piece of live artwork on the day, as well as exhibiting some original pieces and a selection of his Little Simz album artwork. In little more than three years, Chicago based rapper, Mick Jenkins has taken the USA by storm with a conscientious approach to music that places equal focus on promoting a positive social message as the outstanding production style; fusing neo-jazz influences with hip-hop and rap. His debut album The Healing Component was released to critical acclaim in September this year and features contributions from the likes of Kaytranada, BadBadNotGood, theMIND and Noname. Joining Little Simz at Roundhouse, Mick Jenkins’ appearance will unite two of the scenes most exciting figures from across the globe, offering an incredible opportunity to see two rare talents under one roof, with even more special guests to be announced. Known for her jazzy, futuristic and bass-heavy soul sound with a hip-hop influence, California native Tiffany Gouché has been an innovator in the indie resurgence of R&B and has taken the US by storm. Currently working on her debut LP with three-time Grammy Award-winning vocalist Lalah Hathaway, Tiffany Gouché is demanding her way to the forefront and “impressing the hell out of music snobs from both sides of the coast”- Okayplayer. Gouché has garnered many praises and accolades by music’s elite, including being named Okayplayer’s “Top Artists to Watch in 2016”. The singer/songwriter/muliti-instrumentalist/producer has been collaborating and touring worldwide with the UK’s Little Simz and JMSN; all in addition to sharing stages with Willow Smith, Solonge, KING, Jesse Boykins III and Soulection. Anyone that has ever witnessed Tiffany Gouché live will testify that her authenticity will excite ears, ignite inner passions and soothe the soul; she simply lives on stage. Nérija Drawing inspiration from Jazz, Hip Hop, Afrobeat and South African Township, acclaimed all-female London collective Nérija will open the Wonderland stage for Little Simz. Their unique fusion sound has garnered bookings from across the UK and Europe as well as a nomination for Jazz FM’s Breakthrough act of 2016. Hailing from North London, Tilla, Chuck 20, Josh Arcé and Little Simz have come together to create a force that is unmatched as music collective Space Age. Whilst working on their own projects, collaborating together is . In January 2015, they released an EP titled The Theory Of, which gained them new, here-to-stay listeners from around the globe. 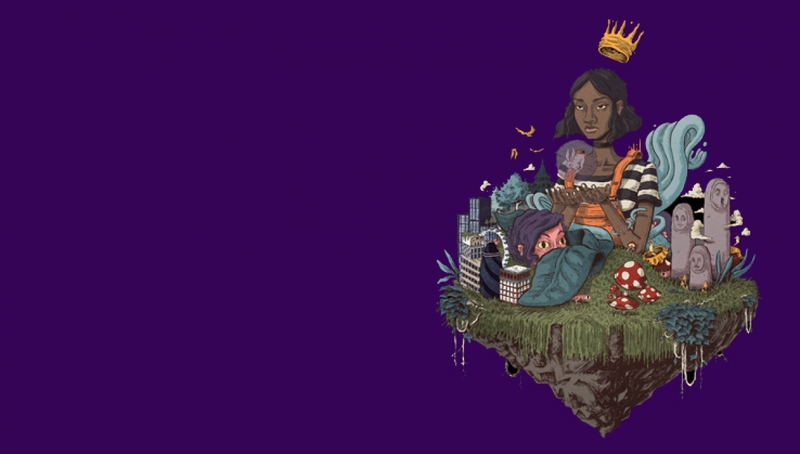 All have made appearances on Little Simz’ projects from Blank Canvas, to her sophomore album Stillness In Wonderland. In September 2014 the collective also featured on Channel 4’s series ‘Four To The Floor’ presented by Lemonade Money. In 2016, Space Age started the brand “Space Age Wear” selling tour merch and exclusive items. Already a member? Log-in first then hit the book tickets button to see if any GET IN tickets are left.